22 Channels each with 121 Privacy Codes. With 22 channels and 121 privacy codes, amassing 2,662 combinations, you can certainly find an available channel. 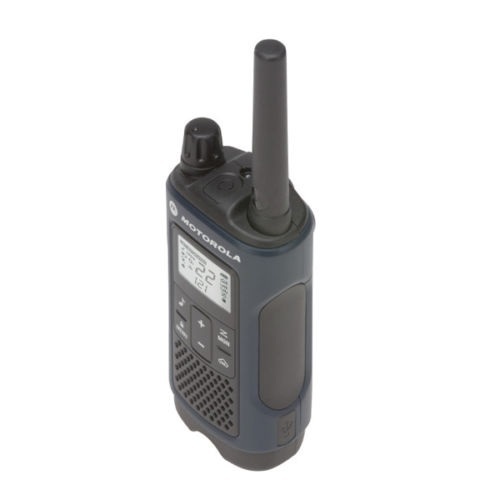 Accompanied by range of up to 35 miles and flexibility to communicate wirelessly, the T465 would not slow you down. The range in real-life conditions might be reduced from maximum range. Help keep updated with real-time weather conditions by activating the weather channel or triggering weather alerts. Using these capabilities, you’ll always be ready for the unforeseen. During times of danger, easily ask for help. Push the emergency alert button and then the radio will transmit an alert siren accompanied by spoken or incidental sounds. 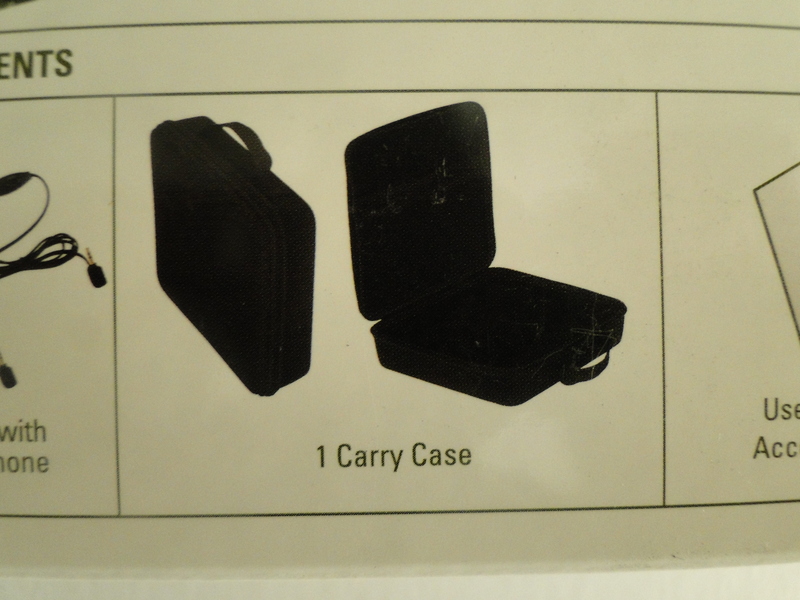 This would allows others to learn that you have got an impending danger. Push-To-Talk (PTT) power boost permits you to extend the transmission range by improving the transmitter power output. In addition, it saves battery life when no power boost is required. 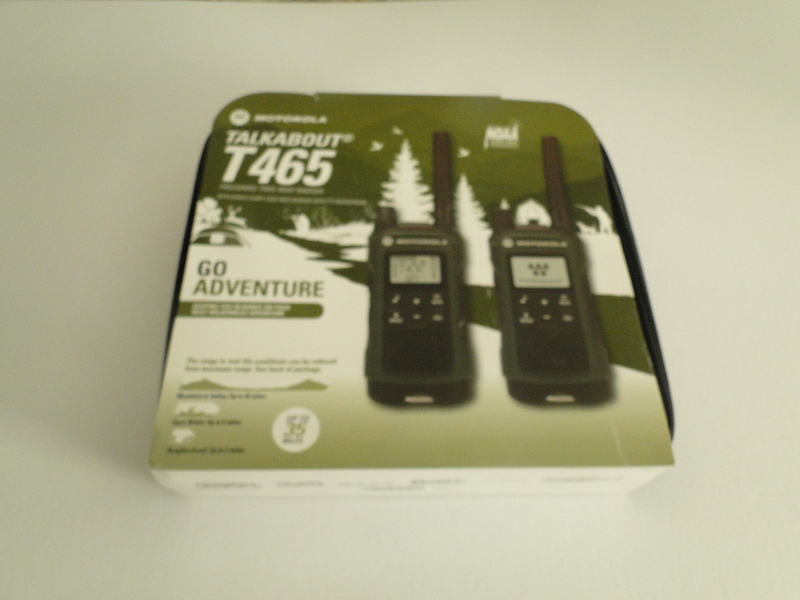 The Talkabout T465 six pack provides features and accessories designed specifically for hunters. 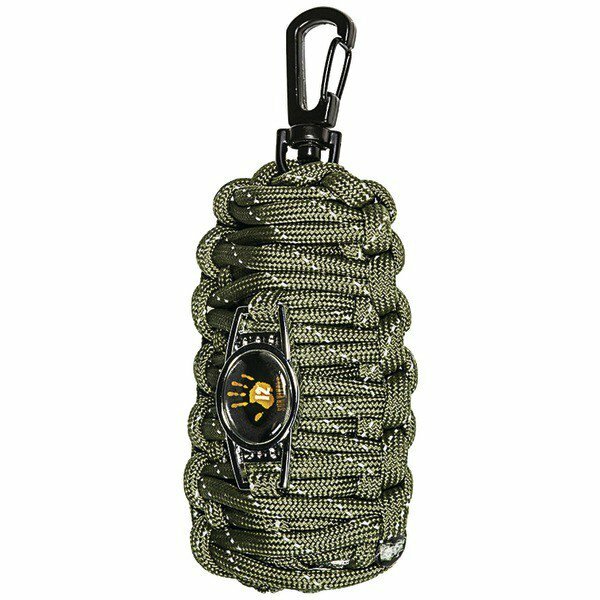 Just press the push-to-talk button to easily connect to your fellow hunters and campers in the forest, around the campground and even by the lake. Bring the carry case with you and fully enjoy your wilderness adventure with hands-free communication and emergency features. With a range of up to 35 miles and freedom to communicate wirelessly, the T465 won’t slow you down. The range in real-life conditions can be reduced from maximum range. 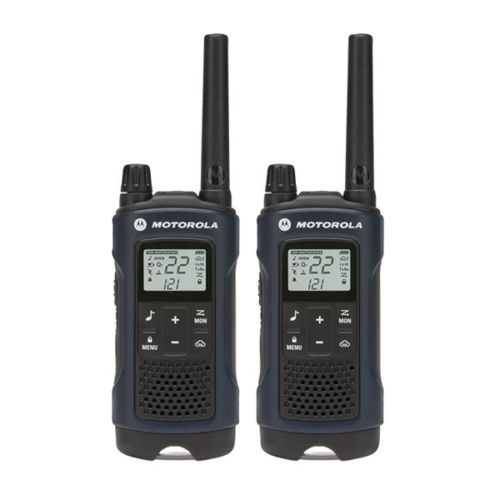 Motorola Talkabout T465 Walkie Talkie operates on General Mobile Radio Service (GMRS) frequencies and is subject to the Rules and Regulations of the Federal Communications Commission(FCC).The FCC requires that all operators using GMRS frequencies obtain a radio license before operating their equipment. To obtain the FCC forms,please visit wireless.fcc.gov. T465 provides power boost capabilities to boost the power of your radio to high power. This can achieved by pressing the top portion of the PTT button when talking. If you know your party is close by, you can save the power of your battery by pushing the lower part of the PTT button to use less power. 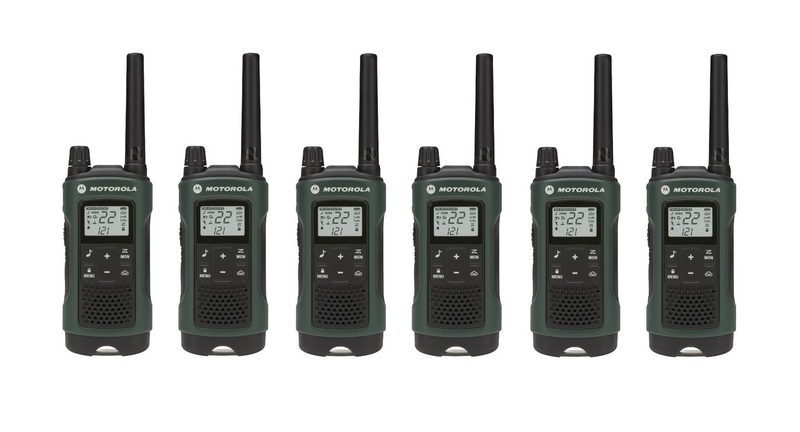 One other useful feature of T465 talkabout radio is Interference Eliminator Codes which helps to reduce interference by blocking transmissions from unknown sources. 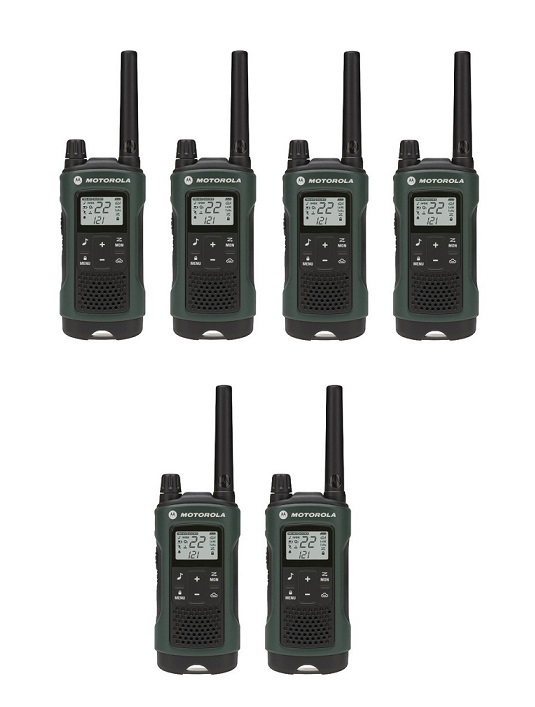 T465 talkabout radio has 121 Interference Eliminator Codes. 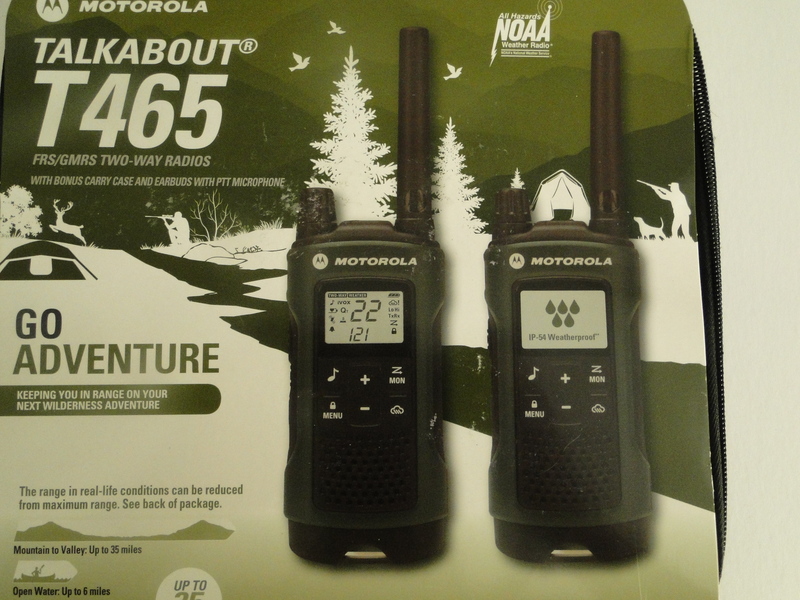 Codes 1 – 38 are standard analog codes that appear on other FRS/GMRS radios. Codes 39 – 121 are additional digital codes added for superior interference protection. 0 is the off position and in this position no analog or digital codes are enabled. 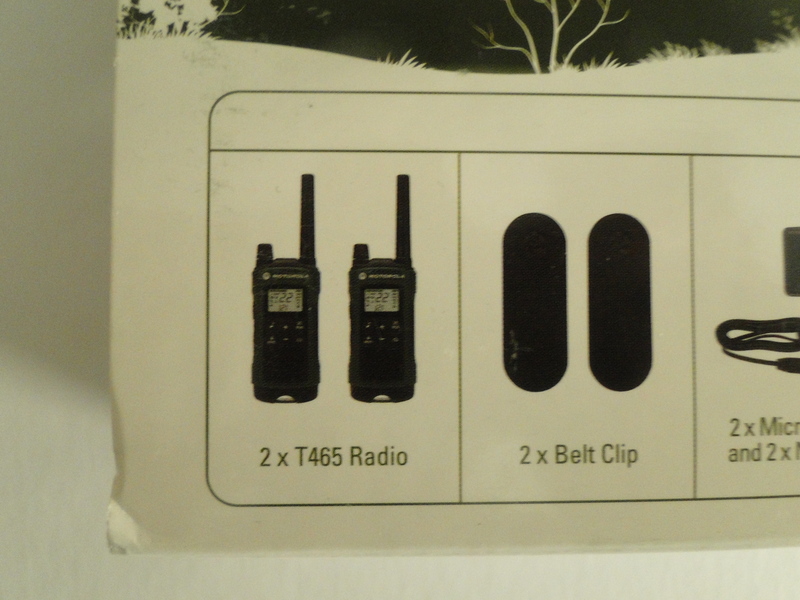 Motorola T465 has total of 22 channels. The channel is the frequency the radio uses to transmit. Channels 8-14 are FRS 0.5 watt only and all other channels are GMRS. operate in an automatic “hands-free” emergency control mode for a total of 30 seconds after activating the Emergency Alert. 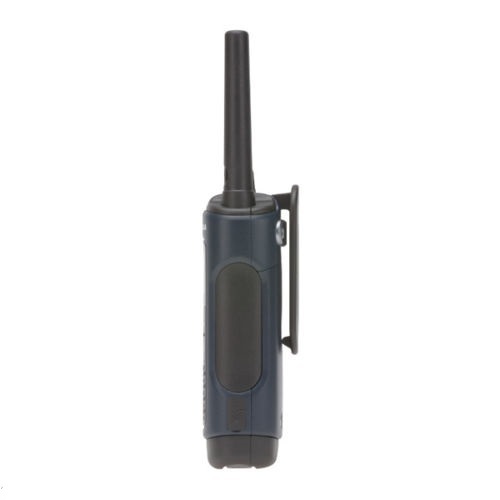 second duration of Emergency Alert mode, T4XX series radio controls and buttons will be locked to maximize reception of the emergency message. Along with the free emergency kit that we offer,the above emergency feature is very usefull addition to your camping or backpacking kit.